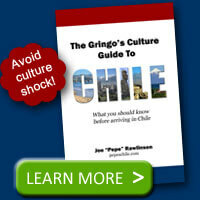 During Chile’s fiestas patrias, the country is full of national pride and celebration. During this week, you’ll find ramadas and fondas appearing throughout the country. Fondas are often found in open, outdoor areas that could be compared to fairgrounds or carnivals set apart for partying during the independence day celebrations. Ramada literally translates to a tree branch. 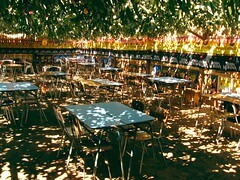 As you can see in the following picture, temporary structures are made with roofs of tree branches covering a dance floor or tables for eating. The ramadas and fondas are decorated with Chilean flags everywhere: table covers, streamers, banners, etc. 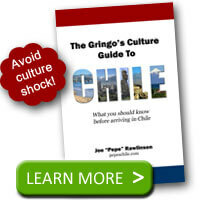 The fondas include refreshment and food stands where you’ll find traditional Chilean foods and the typical staples of the fiestas patrias: antichuchos, empanadas, and chicha. These areas typically fill up with people during the evenings of the week of September 18th and are an annual tradition.